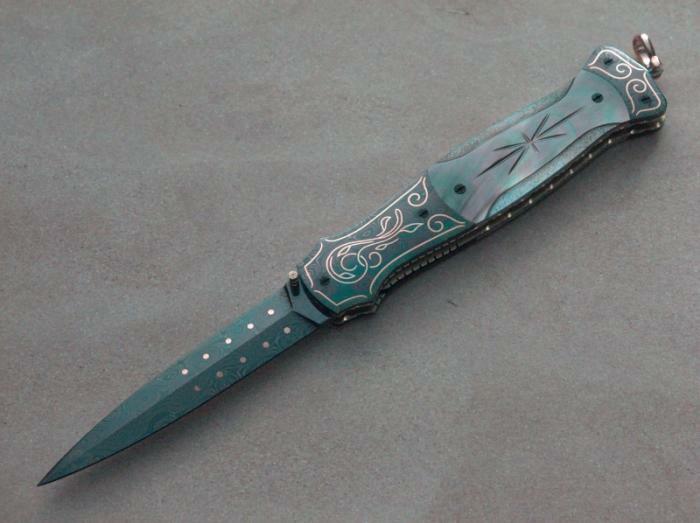 This knife is made with Black Lip Pearl. It's inlayed with 24kt. Gold scroll, and bordered with 24K Gold. It has double bolsters, and a 14K Gold Bail, and the Spine is fully engraved inside and out, with handmade and engraved screws.